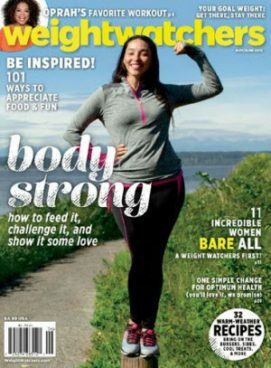 FREE Subscription to Weight Watchers Magazine! You are here: Home / FREEbies / FREE Subscription to Weight Watchers Magazine! Sign up to get a FREE Subscription to Weight Watchers Magazine! Weight Watchers Magazine is about food, fitness, well-being, and good stuff. Edited for women committed to change and seeking a healthy lifestyle. It delivers the advice you want on health, fitness, fashion, beauty and food.